Thailand is moving fast and swiftly to create a conducive environment for Cryptocurrencies and related activities. The country’s Securities and Exchange Commission (SEC) has said that it will be launching its first ICO portal in the country this month. Furthermore, the country is also planning to issue licenses to five Cryptocurrency exchanges. It will soon be legal and easy to launch an ICO in Thailand. Thai Securities and Exchange Commission (SEC) has confirmed that it is planning to approve an ICO portal this month, the first in the country. 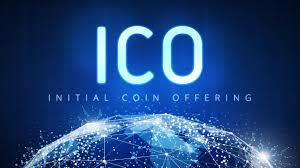 Nation, a local media quoted Rapee Sucharitakul, SEC’s secretary general saying that the first ICO portal will be approved this month while the following month will see the beginning of the approval process for ICO. Authorities in Thailand have been working towards establishing how they will protect investors participating in ICOs. Whereas ICOs have been hailed for making it easy for Crypto startups to raise capital, there have been cases where the investors have lost their funds to rogue project leaders. Thailand has been trying to look for a way that the promising innovation will be allowed to operate while at the same time protecting the investors. According to the news outlet, the ICO portal will be like a financial adviser to businesses or individuals planning to launch ICOs in the country. The ICO portal will be examining all the ICOs before their launch. The portal will look into the business plans of the companies involved with these ICOs and the purpose of the ICOs. Rapee said the investors will be among the greatest beneficiaries because ICO approval will provide them with the much-needed information before putting their money on a project. Furthermore, legit companies will find an easy way of raising capital as the investors will not have the fear of losing their investments. However, until the launch of this ICO portal, ICOs remain illegal in the country according to Rapee. Thai SEC has been warning the public against participating in ICOs as they may lose their investments. The investors are hopeful that before the end of this month, they can invest in ICOs safely and be part of this promising revolution brought about by blockchain technology and Cryptocurrencies. Thailand has also moved ahead and made it mandatory for Cryptocurrency exchanges to be reviewed by the country’s finance minister before being allowed to operate. Currently, the minister is reviewing five exchanges before deciding whether to issue them with licenses. About six exchanges are now operating in the country awaiting the final decision about their license application from the minister. Meanwhile, Jfincoin is going on with its plan to launch its token, jfincoin. J Venture Ltd. is a subsidiary of Thailand Stoke Exchange listed company called Jaymart Plc. The company deals with mobile phones and technology accessories. According to the company’s CEO Thanawat Lertwattanarak, they are working towards launching their decentralized Crypto lending platform called Jfin.